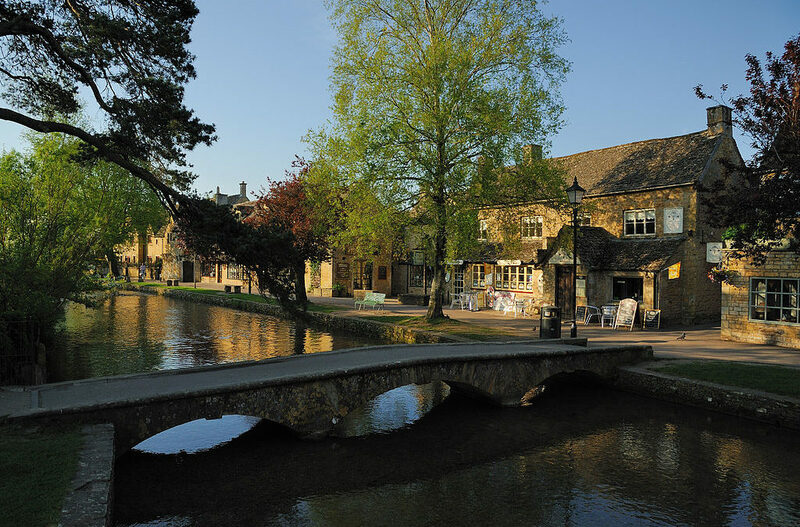 Bourton-on-the-Water is a village in Southern England – under a hundred miles from central London. Although the place is merely a village, there are several good reasons to visit but the one that excites me the most is the Dragonfly Maze, created by artist (and eccentric!) Kit Williams. Before I tell you about the maze itself, let me explain about its creator. This will give you some idea about what’s in store for you when you visit this incredible attraction. In the late 1970s people all over the world had heard about Kit Williams. Using his creative skills he crafted a wonderful piece of valuable jewellery – then buried it in open countryside ‘somewhere in England’. He painted a total of sixteen cryptic paintings and these were published in a fine art book. Fine art books aren’t always in the best seller lists but Kit’s, entitled Masquerade, was definitely a top seller throughout the world as Kit had hidden clues in each painting – clues to the whereabouts of the fabulous gold-and-jewel piece he had created and hidden. All we had to do, we heard, was solve those clues and dig up the treasure. He also maintained that although the clues were cryptic, the puzzle could be solved by a reasonably bright twelve year old. (I have to say that I suspect that twelve year olds were a bit brighter in those days than they are now). People all over the world bought the book and tried to solve the puzzle. They travelled to the UK too – convinced that their theories were correct. And yet it took over two years for the clues to be cracked and the golden treasure revealed to the world. Kit designed the maze. As you can expect from the man who created Masquerade, it’s no ordinary experience. Once again, you are given clues to help you search for the golden dragonfly as you wend your way through the tall yew hedges. However, it won’t take you two years to solve as Masquerade did – most people discover the golden dragonfly within 30 minutes or less – including children. Trending Now : What Do The Best Vacation Rentals Have In Common?